For the first time since last year, the days have begun to get noticeably shorter, the weather cooler, and the wines I gravitate toward richer. And while I'll miss the warm, slow days of summer, I'm thrilled to be able to start drinking those bottles that didn't necessarily scream out to me when the mercury climbed past 90. 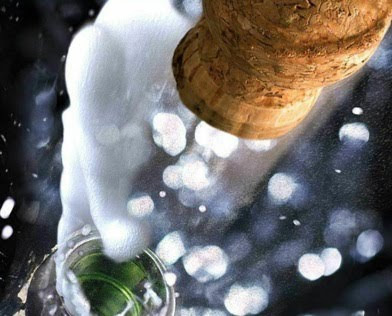 Sometime this week, I'll be popping open the season's first bottle of Tokaji. This isn't to say that I don't love these wines throughout the year, of course--I do. It's just that, as autumn settles in right now, I can't think of anything more appropriate than a nice glass or two of this Hungarian beauty. 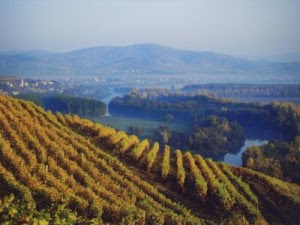 To get you in the mood, take a look at the video below, produced by Wilson Daniels, on the wines of Tokaji. Better yet, uncork that first bottle of the season (either dry or sweet) and sip a glass while watching. It'll be an evocative and delicious way to kick off autumn. So-called second-label bottlings of great wines are nothing new. 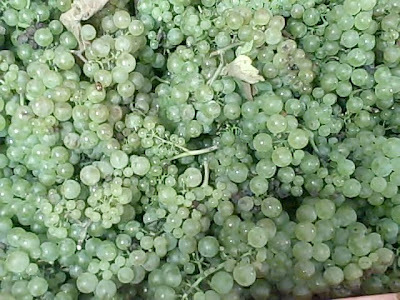 And, in fact, they make perfect sense: They’re a great way for producers to make the most out of less-than-perfect fruit, or of their vines that are just too young to plumb the depths of profundity that their more mature ones do. From a consumer’s standpoint, they often afford the opportunity to experience the general character of a great wine without the necessity of spending all the money that the big brother requires, or giving the juice as long a repose in the cellar before it’s ready to be enjoyed. 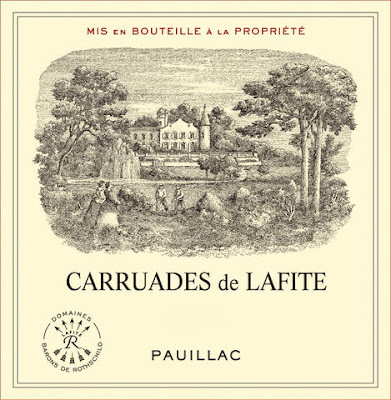 What is new, however, is the price being asked for some of these second labels, most notably Carruades de Lafite. According to a recent news item on Decanter.com, “Carruades 2008 is still at around £1,000 [per case], but it is predicted to keep climbing closer to the other first growths once in bottle. “Gary Boom, managing director of Bordeaux Index, told decanter.com, ‘Today a case of Carruades 2004 would set you back £1800, which is considerably more than the £1650 you would pay for a case of Mouton 2004. 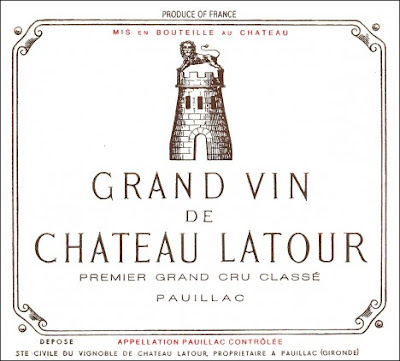 So the question is this: Is the second wine of Chateau Lafite worth as much as, or more than, a bottle of top Second Growth like Cos d’Estournel, Leoville-Barton, or Pichon-Lalande or –Baron? Or, for that matter, a top Fifth Growth like Lynch-Bages? It’s a tough call, and, like so much in the world of wine, a matter of personal taste. I’ve personally found that my preference is vintage-specific. For example, a recent bottle of 1996 Lynch-Bages was absolutely wonderful, but comparing it to the 2000 Carruades (opened at the same dinner) is unfair to both, since the latter was just starting to develop, even 9 years after the fruit was picked. It will be singing in another five to ten years. And give me a Leoville-Barton anytime and I’ll be a happy man. So, really, it comes down to this: Drink what you love, try wines that you haven’t had before, and keep in mind that every vintage is different. And always look for opportunities to taste wines that are too young, at their peak, and slightly over the hill. It’s the best way to start building a sense of context for everything you taste, and you never know when you’ll find your next favorite bottling. We’ve been visiting a wide range of producers the past several days, from grands maisons like Pommery to smaller—but also stellar—grower-producers like Larmandier Bernier. 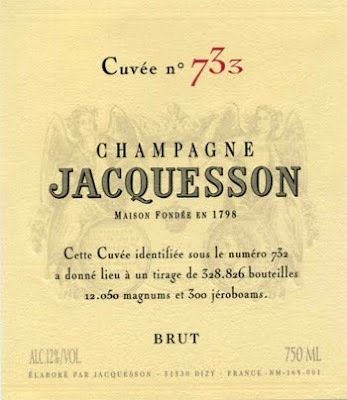 Yesterday, we spent the afternoon and evening at Champagne Jacquesson, whose philosophy is very different when it comes to their non-vintage bottlings: Rather than have a “house style,” they instead rely on the most recent vintage as the backbone of their newest release, each of which is given a number and built to reflect the best possible fruit that they have above all else. (We tasted Cuvee No. 732, for example, which is built on the 2004 vintage, and the Cuvee No. 733, which relies heavily on the 2005. And their vintage 2000 bottling is an absolute stunner.) They also do a number of single-vineyard bottlings, which were all excellent. I’ll post tasting notes here in the coming weeks. Before the tasting and dinner, though, proprietor Jean-Hervé Chiquet showed us around the property, and, as has been the case everywhere this week, the grapes were coming in and being crushed. Check out the videos below for a look. 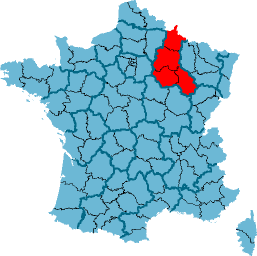 Tomorrow evening, I’ll be flying to France. 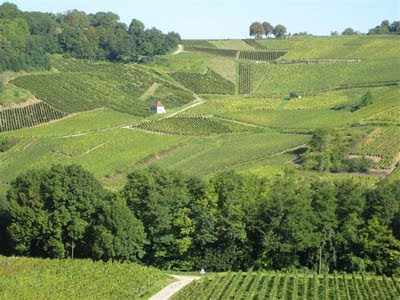 This time I’m heading over there on a press trip to experience Champagne at harvest time. 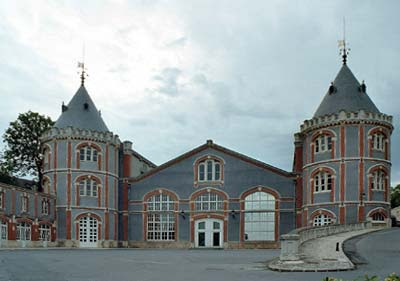 Over the course of five days, I’ll be visiting Champagne houses (Pommery and Jacquesson among them), tasting the wines, picking a few grapes, and experiencing the wines with specifically prepared dishes at lunches and dinners. And just like my earlier trips to Bordeaux and Austria, I’ll be blogging about it from there, taking tasting notes, and shooting plenty of videos to post here when I return the following week. So keep checking back for updates—next week should be very interesting, indeed. 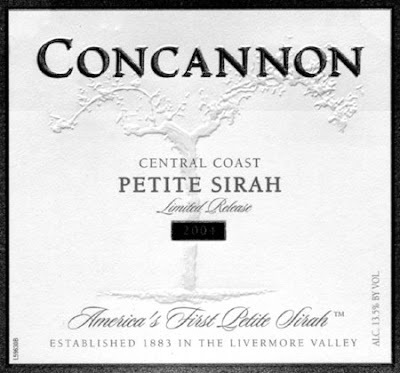 This past weekend, The San Francisco Chronicle ran a story on Petite Sirah’s uptick in popularity. And while some of the people they interviewed for the piece weren’t thrilled with its potential in single-varietal wines (for the record, I strongly disagree with that assessment), the fact remains that it provided some much-deserved attention for the grape variety. But the comments about Petite Sirah’s potential as a single-varietal wine weren’t quite as overwhelmingly positive, a position I personally disagree with. In fact, last year, I had the unique opportunity to taste a number of back-vintage Petite Sirahs from the excellent Sonoma producer Foppiano—I built a tasting around them at the Wine School—and was thrilled with both the quality and range of expression of the wines, including the 1986, 1987, 1992, and 1993. But even younger, easier-to-source bottlings can be wonderful. And, as the article notes, producers like Bogle, Concannon, and Parducci, among others, are leading the way to a Petite Sirah future of bold flavors, rich textures, and, quite often these days, elegance, too. The time, it seems, has come for a second look at Petite Sirah. Decanter.com is reporting that “investigators probing a huge wildfire that began at a vineyard owned by Constellation Wines believe a firework used to scare birds may have started the blaze.” It’s wildfire season in California, and, as always, the news is peppered almost daily with tales of acre upon ruined acre dotting the landscape. And, also as always, it is affecting the local wine industry, as well. The story continued: “Nearly 6,500 acres…of grassland in an area northeast of Soledad were destroyed in the blaze, which started on 27 August and was finally put out on Monday evening.” More details will be posted here as they emerge. Also this week, The New York Times ran a wine column and tasting-panel report on the Pinot Noirs of Oregon and, contrary to what usually appears in the press, it wasn’t all that exuberant. “I will say,” wrote Eric Asimov, “that this was one of our more difficult tastings. While we liked many of the wines, very few grabbed and held our attention. The wines that seemed most balanced and freshest lacked complexity, while those with more going on in the glass occasionally seemed clumsy or unfocused. The difficulty in finding wines that put it all together kept our scores relatively low." He goes on to describe the differences between the vintages in general (2006 and 2007) and the wines tasted for the article in particular, but his conclusion is not as positive as I would have expected. I’d be interested to hear about readers’ personal experiences with Oregon Pinot Noir in the comments section here. Personally, I’m a big believer in them, and wines at all price points, from Torii Mor to Bergstrom to Antica Terra have given me as much—and often more—wine-drinking pleasure as anything else in recent years. And speaking of great Oregon Pinot, click here for an excellent interview on Grape Radio with rising star Maggie Harrison of Antica Terra and cult Syrah Lillian. Her story is a fascinating one, and speaks not only to her own history, but also to the future of American winemaking. 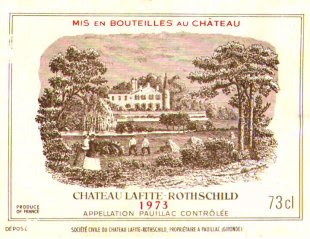 This is the second installment in what will be a continuing series of reviews of Chateau Lafite throughout the years. My last tasting note was for the 1966 and is available here. This one, though, focuses on the 1975, which is one of the most unexpectedly profound wines I’ve ever tasted. Its shows a sweet, floral nose leading the way to a dried-fruit and –flower mid-palate tinged with fresh raspberries, leather, and earth. You can feel this wine all the way down the tongue, its cinnamon and clove notes lingering for what seems like an eternity. This 1975 exhibits the perfect balance between freshness and bottle-age characteristics, and is nearly impossible to stop smelling and sipping.